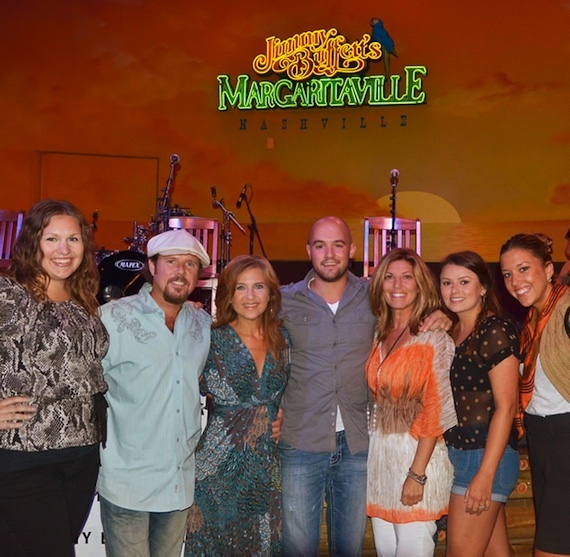 Tom-Leis Music celebrated the signing of Blue Mother Tupelo members Ricky and Micol Davis at Jimmy Buffett’s Margaritaville earlier this week. Songplugging group Singles Only hosted the event to mark the start of CMA Music Festival. Regions Bank associates participated in Wednesday’s (6/6) CMA Music Festival Kick-Off Parade in Nashville. Representing the bank’s Sports and Entertainment branch on Music Row were Cory Owen, Michael Leidel, Ellen Hammer and Ann Brock. 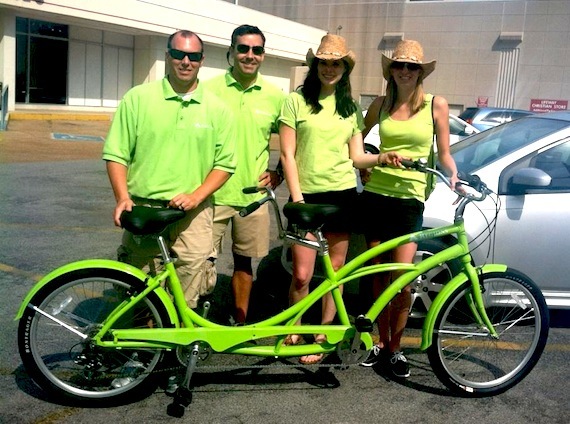 The group carried an inflatable as part of the parade, and also rode a tandem version of Regions’ signature LifeGreen Bicycle. Pictured (L-R): Regions Associates Cory Owen, Michael Leidel, Ellen Hammer and Ann Brock. 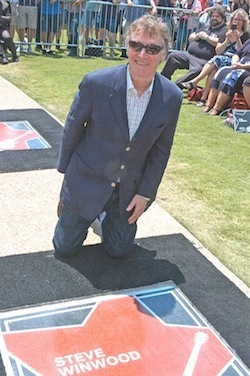 Revered bass player Bob Babbitt and famed artist Steve Winwood were inducted into the Music City Walk of Fame on Tuesday (6/5). The event was held in Walk of Fame Park in downtown Nashville. 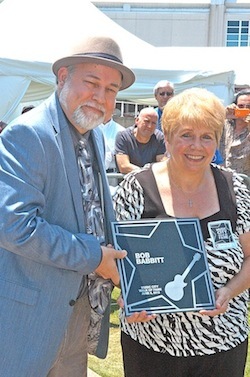 Dave Pomeroy, President of the Nashville Musicians Association, helped Babbitt’s wife, Ann Kreinar, mark the occasion.